A little while ago, Denon had a little too much leakage and were more or less inadvertently outed by a tradeshow banner showing what was thought to be the followup to their DN-S3700. A shaky video followed, but now we can exclusively give you a little more info on the heavily rumoured but now confirmed Denon DJ SC3900. "Having the cue points on the deck makes it really handy if you want to do some button bashing trickery. Also great that the whole unit is MIDI-customisable. The adjustable start-stop time is a great feature too, and I was stunned by how accurate it is when you get it to slow up"
I was lucky enough to have Denon drop by the skratchlab just before Christmas with a 3900 in tow. It was a flying visit, so don't be expecting a review, but first impressions are good. The platter response is bang on - I got pretty rough with spinbacks and scribbles and got back nothing but first class performance, and importantly no drift whatsoever. I would say that image wise, it's much cleaner too. As a working interface, it feels much more logical, and just feels more finished than the 3700. The new all Black casing is especially striking. And more than that I decline to comment, but needless to say I was impressed. But more info is coming very soon, and coming to skratchworx first. They´d better fix their existing drivers before coming up with new hardware that´ll fail cause of 2 year old crap-asio-drivers. @j_kut, two year old drivers? The last asio driver update was released in January (v2.21). Clarification.... The latest ASIO update was released January 2012. The link/thread to that update can be found on the Denon DJ Forums. I want MIDI (not Hybrid) for the spinning platter to be supported by Serato Scratch Live and Traktor. What would be nice is an instant switch from CD to MIDI to USB. I love the Drag and Brake knobs. If true, where are the knobs for effects? You get proper MIDI platter support for SSL and Traktor and you got my money. I need the details already. Any word on pricing ??? Please tell me Denon hasn't made the same mistake they always seem to do with the buttons. I admit that its one-and-a-half years old and not two. its about bloodclot time! I am so amped about this product. I agree 100% with JJ, enough experimenting, you guys know what we want. Rock solid stability, ssl (not itch), fully customizable but still works perfect out of the box. This proprietary war needs to end. Hopefully the mistakes made on the 3700's have been sorted out leaving us with a truly refined deck that will have the ultimate vinyl simulation on the market to date. @Sonny - please get over the rubber buttons! There are many other manufacturers that have moved over to rubber buttons - and with good reason. If you gonna be bashing the sh** out of them, they're gonna last a whole lot longer thanks to the rubber. I'll take rubber over plastic anyday. @j-kut, no offense, but the old date you see there was for the "creation" of the first ASIO driver and not the "modified" version of it (which has only been available for download since Dec 2011). Every time a new Denon product gets released, a new ASIO driver version is also released. The last ASIO update happened with the MC6000 (to include that deck in the driver updater). That means v2.21 is only about 2+ months old. Anyway, tens of thousands of Denon users worldwide since 2007 are using the Denon DJ ASIO driver on PC’s without any issues, and they are using it across all deck models. Most issues which are brought to Denon’s attention (I would say 99.9% of them) are found to be related to computer obstacles. If you are having an issue, please give Tech support a call to help resolve it. They are very helpful. With that said, how about we get back to discussing what you guys think about the 3900. No way... 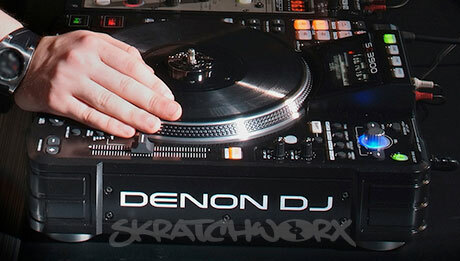 Right when I -finally- decide to go with just turntables and Traktor, Denon throws me another curveball! I'd "given up" on CDs because the 3700s were the wrong colour (not really a fan of silver, for some reason), and also had been discontinued a while back. Friend of mine had a pair and I just loved the feel of them. Hopefully these aren't too pricey, but the build quality isn't sacrificed in the name of a cheaper price. Yawn... At least 2 years too late. Moving on. Nothing to see here. Call me in 2 years when Denon actually update the firmware. This will undoubtedly be another Denon product where the public will be used as guinea pigs. The 3700 is black & very similar to this unit. Please share your knowledge with us. Otherwise......go play with your cdj! Now get back to work on a non midi solution where we can plug in and see what we want on a screen without needing middle man software or even a laptop. I can not beleave after all the stuffing around trying to get support for Denon products that Denon haven't just given them the middle finger and built a hardware solution that cuts them out completely and still gives users what they want, a large, decent display. I really feel Denon were going somewhere with the modular design on the 5500, there was alot of potential there. If this has Native support, then cool. But still not as good as running straight to your mixer then straight out your speakers. @ace: My bad, I did mix up the 3500 and 3700s. I'm glad that I didn't put my money this past year on new DJ gear, because a pair of DNS3700 was going to be my purchase. I hope Denon really takes advantage of this opportunity and release a solid product worthy to claim the "club standard" throne. For what I gather from Gizmo's words, its going to have CD slot, which is great. About the display, well seems pretty much similar to the 3700, I hope this one gives more detailed information and also customizable. Looks like onboard effects are gone. If you can create more cue points than the phisically available (a la CDJ1000), full MIDI support, standalone media player, superb scratch performance and quality integrated soundcard, then I'm getting a pair! I do believe that the reason you may not have officially seen any info is due to the fact that some final licensing/testing agreements with a MAJOR software company are taking a little longer than expected. I have a few good inside sources that are VERY reliable. From what I can tell you, and I'm sure Mark will agree with me, this is the FIRST player to do what it does and how it does it, now note the V7 was not the first rotating platter midi controller, we all know that goes to Stanton (flop but cool looking piece) but this will be the first that (i'm aware) does cd AND midi with a fully motorized rotating platter that again as Mark will agree is DEAD on accurate. 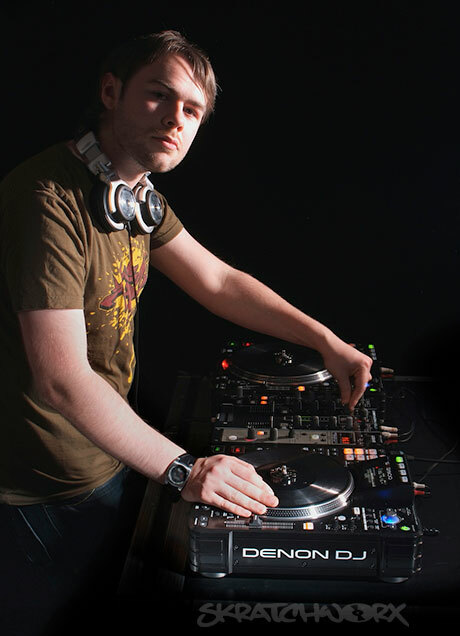 A little background for the haters/trolls who will automatically jump down my throat, I own and use CDJ2000/850's DNS3700's, DDJS1 because I couldn't wait for the NS6 which I then had to grab, old school ADJ ProScratch 2's because at the time they were pretty badass among a dozen plus other things so I'm not a Denon "Fanboy" by any means. Double A is also correct about the ASIO updates, plus honestly you can't tell me that EVERYONE hasn't encountered issues with Operating Systems, just look at Native and the 5 page "here's what to do if you use windows 7 so this may work" and the Serato "AMD Processor" issue, and that doesn't even include the botched abortion that is Virtual DJ . . . support, anybody. . .
Well, it would be nice to see some actual PICTURES, to get a better overview! Im certain that the reign of Pioneer will end soon! cause Denon has allways taken their game quite serios! /Cdj 2000 & 3700 Driver! And again it´s kinda funny and sad at the same time how people are put down just because they stand up or their rights as customers. All I can say is, it doesnt work proper. Feel free to bash me, i´m outta here anyways. "All I can say is, it doesnt work proper." "If you are having an issue, please give Tech support a call to help resolve it. They are very helpful." Here is their number (630-741-0330 M-F 9-5 Central). You should be in front of your gear when you do decide to call. unfortunately no solution so far, and also no answer since 3 weeks regarding other issues. so i kinda rule out an config/hardware issue. I know your a bigplayer in the Denonforums and mostly have to deal with beginner/setup issues, but so do I if you take a look in the MixvibesForum. I´m willing to bet the DNX that this is not an pc/config issue. So, an Itch compatible controller with a cd transport onboard. Shame I already have a pair of v7's or I'd be buying it. Where did u read it was Itch compatible? This unit might be cool. I am waiting for more pictures and details about this machine to see if it deserve interest. I agree with Sly guy about one obvious solution. Now that it's clear for everybody that a 64-bit computer with 4Gb RAM and $500 software is able to play mp3 files and do things that mixer and decks can do without being able to replace them, we could expect more decks (with or without CD) with a "hi-res" LCD screen that allows navigating through file and folder... without the need of this expensive laptop+software combo. Why everybody still desire such nonsense is beyond my understanding or is it due to the efficient marketing strategy of software companies? In 2012 this "hi-resolution" screen is still missing on most decks except CDJ2000/900 and the all-in-one Stanton SCS.4DJ. Looks interesting. Hopefully, it won't be overpriced. Nevertheless, I'd wait at least half a year: Too many bugs at launch time with previous models and the HS5500 went off market before all serious bugs were ironed out. It's primarily a CD player. No direct competition (let alone upgrade) to the old HS5500. No internal HDD option. No dual layer/twin deck function. No keyboard connection. No USB hub compatibility. So therefore really not viable as a standalone media player. To help keep from answering the same questions on multiply sites, we kindly ask that all further questions/inquiries be done via the Denon DJ Forums. It will be far easier for people their questions answered in the same location. Thanks. Here is the official 3900 release thread from the Denon DJ Forums. Wellll... I do have one here and will be posting my own first look piece later/tomorrow. I'll try to answer any questions myself if people ask. Thanks Gizmo.... I know that there are members here that don't have Denon DJ forum accounts. We'll try to answer the questions you get here over on our forums too. Just trying to keep everything centralized so people can find stuff faster without having to go to multiple websites (ie, twitter, facebook, youtube, our site, your site, ect). It's clearly borrowed the whole networking thing from Pioneer/Rekordbox, but the flaw is the limited 'CD player' screen. Having to use an iPad to get a bigger view is OK if you already own one, and can be bothered with setting up a wireless router at gigs, but a nicer screen on board the player would have been better - or (as users requested) a connection for an external LCD screen. "It's clearly borrowed the whole networking thing from Pioneer/Rekordbox"
Denon was using that technology in their home AV equipment for many years prior to the Pio/RB collaboration. Google "Denon Fireball". I had always hoped that Denon would eventually have something along the same lines as what their home AV gear had, and have it incorporate into their Pro DJ gear. Tis a rather large step in the right direction, but still doesn't quite hit the mark with me, I will wait until the 5500 update comes out and see. I really want an LCD connection and have wave form, platter location, every thing you get with software now but in a stand alone unit and I think someone will build one withen the next year or 2 at the most.... So I can wait. I also want the modular design of the 5500, I want to have the choice of a cd player or hard drive (maybe even a sampler/effect unit or even a dam cup holder if you wish).